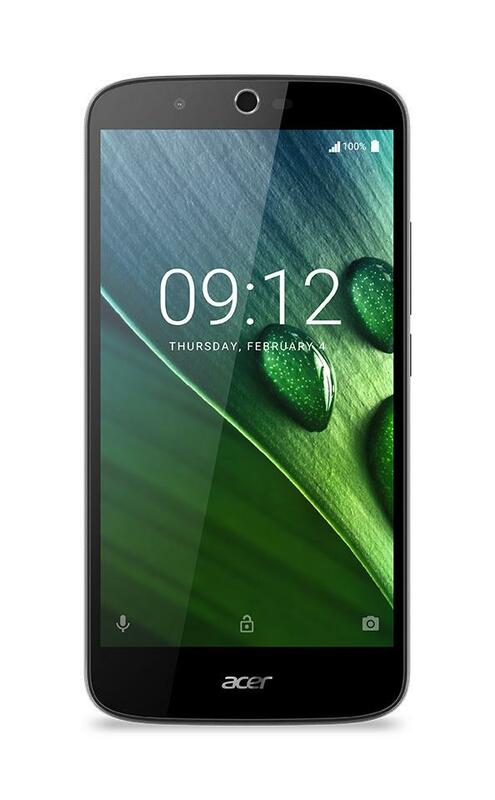 In addition, the smartphone will enjoy a large screen, diagonal here 5.5-inch with HD resolution and IPS matrix, which also contributes to the fact that the device must stay on battery a decent amount of time. 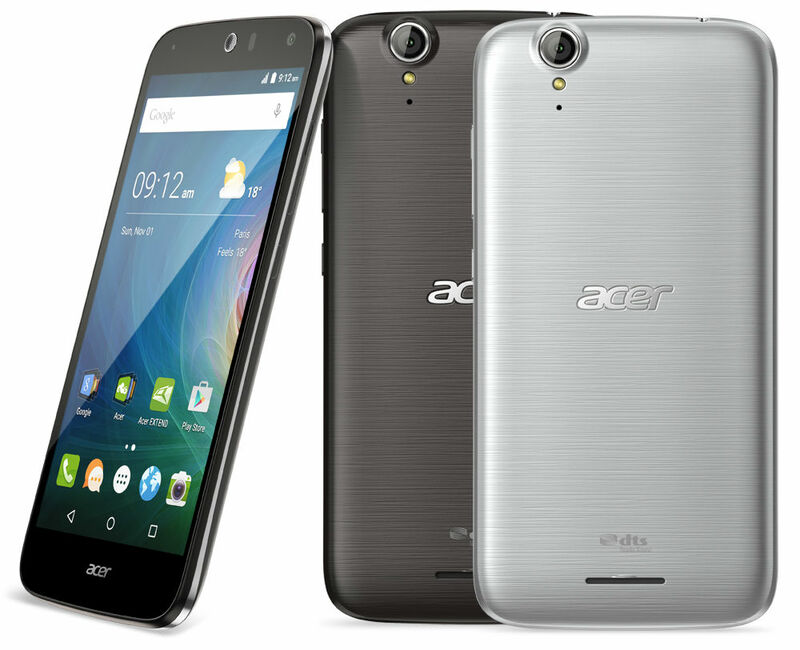 Acer has released on the Russian market smartphone Liquid Zest, which focuses on an important moment for many - a-time battery life, and also tells that the strength of the gadget can be a camera with a triple focus. 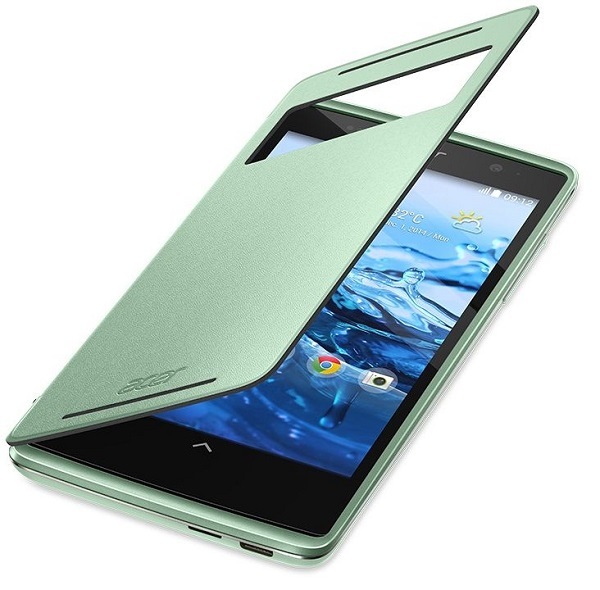 Such a device pozitsioniruetsya suitable device for travelers and all those who lead really active lifestyles. 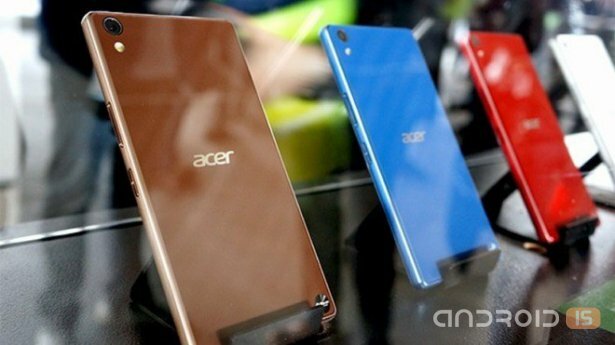 Unfortunately, announced in April this year, the new smartphone Acer Liquid X2 is still not appeared, although, according to the Malaysian resource SoyaCincau, the wait is long. 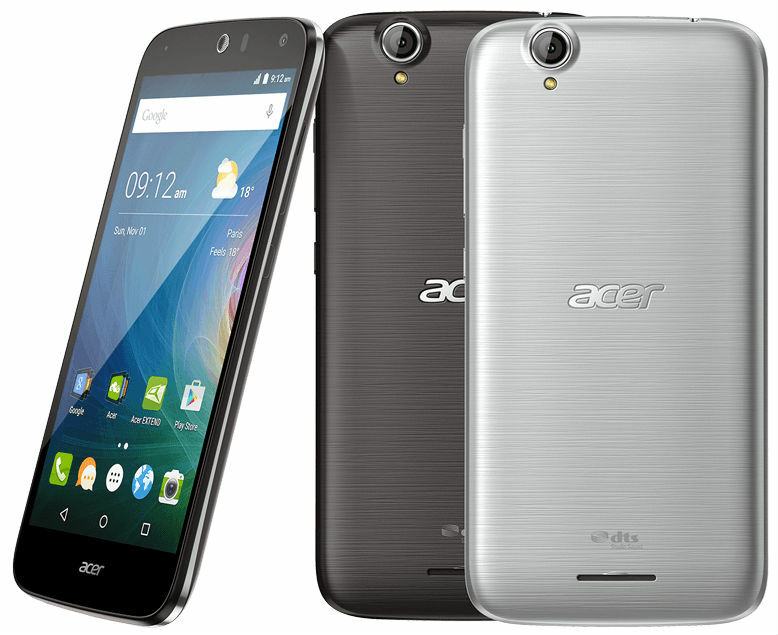 Acer has announced the beginning of sales on the Russian market of its smartphone Liquid Z630, running the operating system Android 5.1 Lollipop and has an elegant body with graceful lines, an improved 8 MP front camera with wide angle lens and high-quality sound. 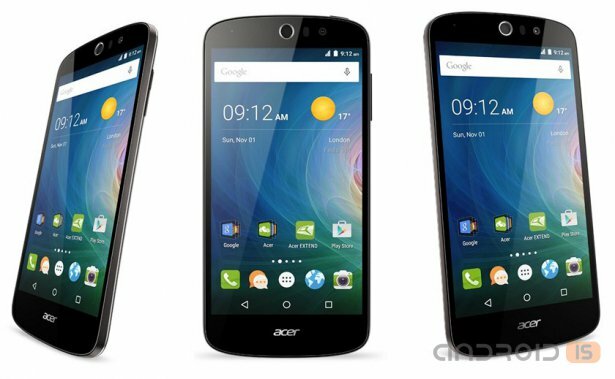 Acer is at the IFA consumer electronics show 2015, which today opened its doors in Berlin, unveiled four new smartphones running the operating system Android 5.1 Lollipop – Liquid Z630, Z530, and Z320 Z330. 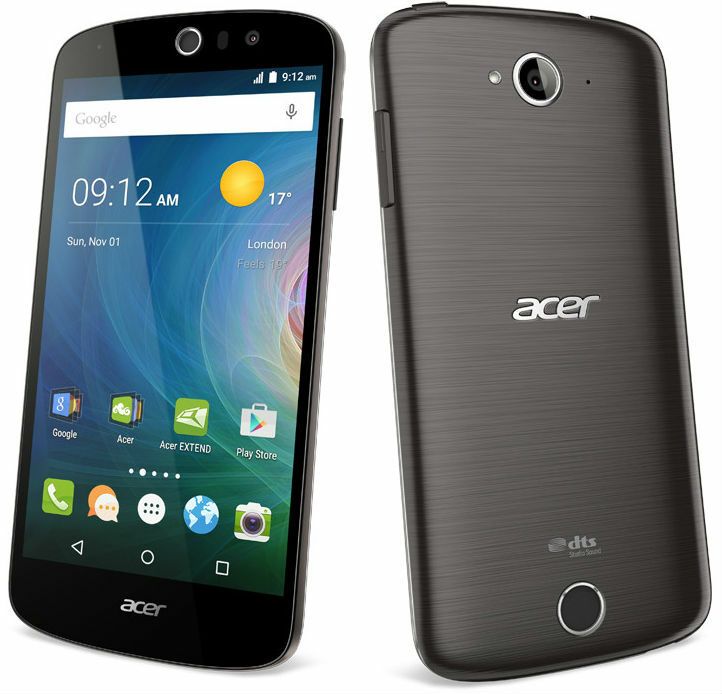 Acer has announced the beginning of sales in Russia, as she is his positioning, multimedia smartphone Acer Liquid Z520 has a 5-inch display, Quad-core processor and support dual SIM cards at a suggested retail price of 8 990 rubles. 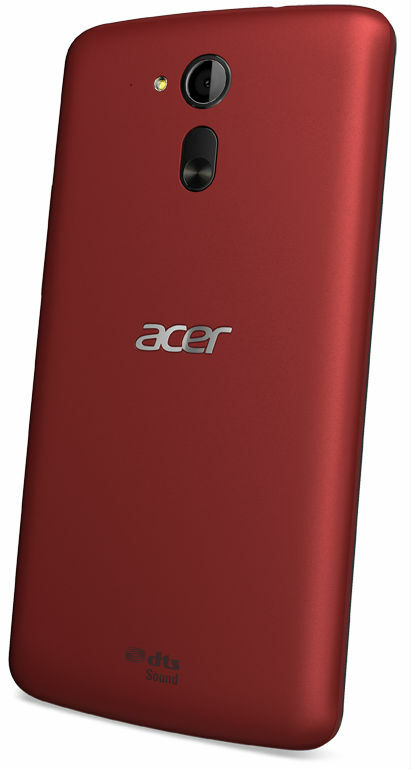 According to information found in the database benchmark GFXBench, Acer plans to soon announce a new 5.5-inch phablet Liquid Z630. 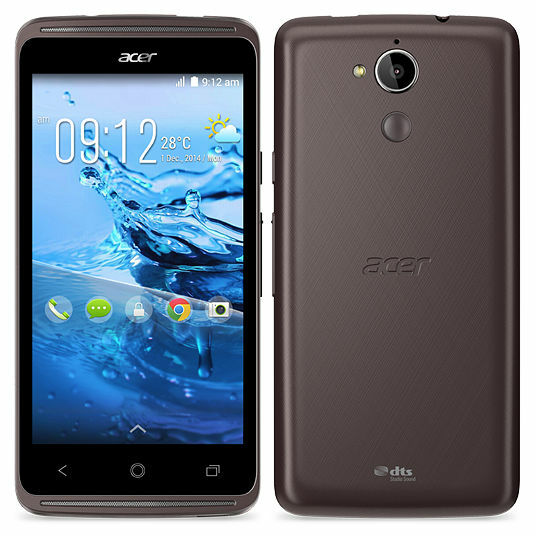 Acer has announced the beginning of sales in Russia smartphone Acer Liquid Z220, which belongs to the budget class of devices, but it is, in the opinion of the company, stylish and versatile. 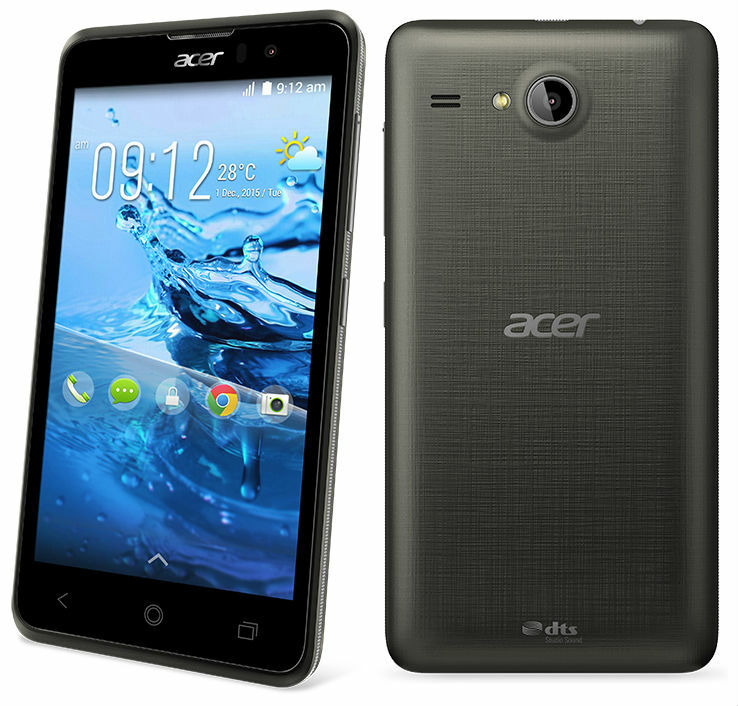 Acer has announced the beginning of sales in Russia of its smartphone Liquid Jade Z, is equipped with support 4G LTE (Cat.4) networking, 64-bit Quad-core Mediatek processor, 5-inch IPS display with HD resolution, technology Zero Air Gap, minimizing glare and coated with a protective glass Corning Gorilla Glass 3 and a special function "read Mode", protecting the user's eyes, reducing blue light emitted from your display. 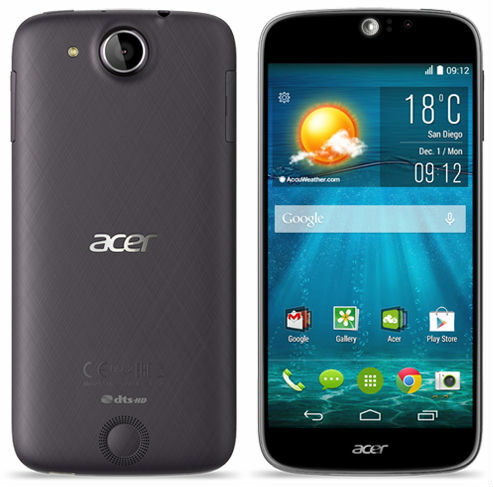 Acer has presented new model series Acer Liquid Jade smartphone the Liquid Jade S. As noted by the manufacturer, its slim and stylish case has subtle curves as the previous model. 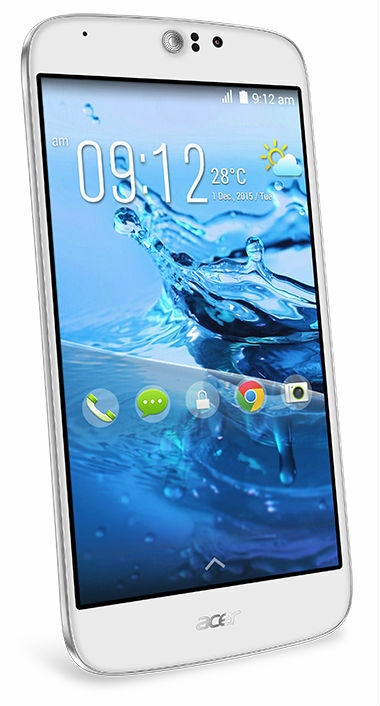 This model has a textured back panel, camera with voice control and 8-core 1.5 GHz 64-bit processor (MT6752M) and LTE (up to 150Mbps). 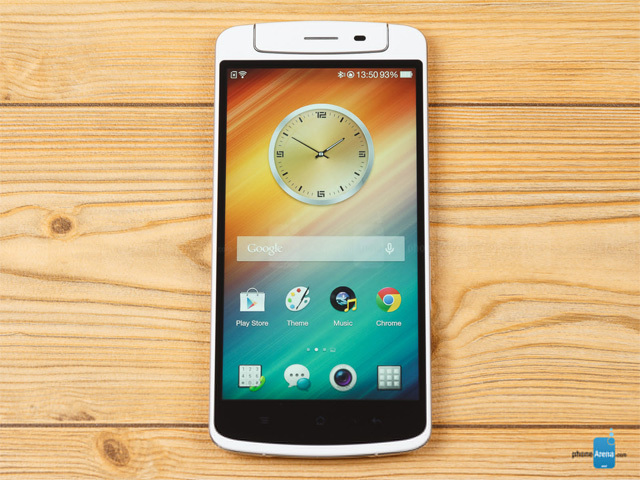 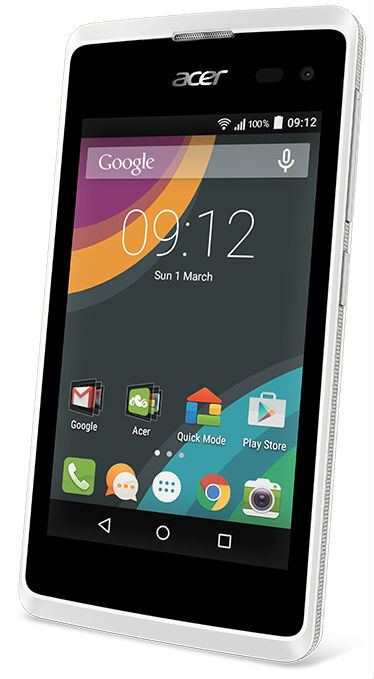 Acer has officially introduced a new smartphone Acer Liquid Z410, which it is positioning as a cheap but functional devices with support for 4G LTE networks, the presence of a 4.5-inch qHD display, Quad-core processor that supports 64-bit instructions and a 5 megapixel camera with autofocus and led backlighting. 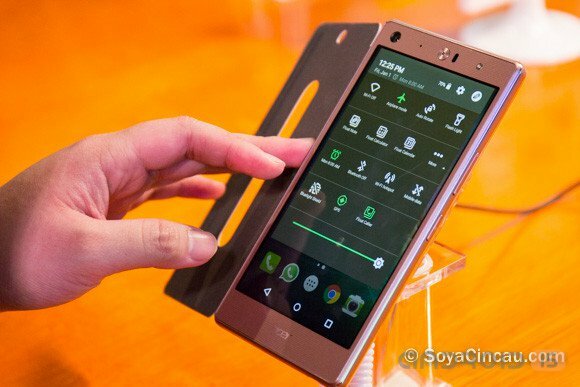 Acer has announced the beginning of sales in Russia smartphone Acer Liquid Z500, the hallmark of which is the ability to play music with quality level CD-ROM drive, and a powerful front speaker supports DTS Studio Sound. 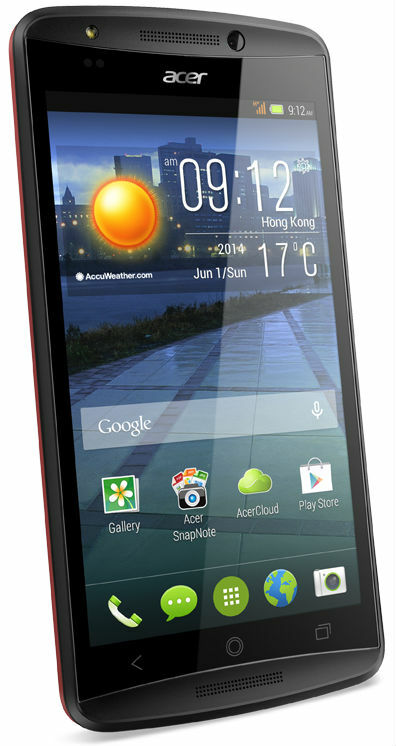 Acer has announced the beginning of sales in Russia of the new smartphone Acer Liquid E700 Trio, which it has positioned as a device intended primarily for travelers, thanks to the powerful battery (3500 mAh) and support the work of three SIM cards in four ranges.